As Financial Regulation Matters ends its first year, this post will review some of the main themes that have emerged (or persisted) over the last year. With nearly 200 posts since starting in February, it will be too much to review each post, but assessing the themes that have been discussed throughout the year will be useful; in what is a turbulent era politically and socially, understanding the role that financial regulation plays in that arena, and how that arena affects the development of financial regulation, is of interest. With that in mind, we will look at some of the main stories that have been discussed in Financial Regulation Matters from within a few specific areas: fraud and corruption; industry developments; social and political developments; and lastly developments for financial regulators. As the world (particularly the Western World) comes to terms with the devastating Financial Crisis and its ensuing effects, fraud and corruption has consistently come to the fore within the business media. In this respect, there have been two particular categories that have emerged, with each having a significant impact upon the field of business, and society moreover. The first category we will look at is the issue of systemic fraud and corruption, and nowhere is that demonstrated better than in looking at the massive stories of money laundering and the financial practices of the elite. Following on from the revelations stemming from the law firm Mossack Fonseca – the so-called ‘Panama Papers’ leak - the year started with revealing investigations into the actions of HSBC, who were identified as having particularly lax anti-Money Laundering (AML) systems in place, with that story being followed in the summer by the journalist-led investigation into what was termed the ‘global laundromat’. The ‘global laundromat’, which described a network of banks around the world laundering money that emanates from Russia, took on added significance with the political aspect of American-Russian relations continuing to teeter on the edge; whilst national regulators sought to address concerns at banks domiciled in their own regions, the fact that over 700 banks from more than 90 countries were implicated pointed towards a systemic problem that also demonstrated an underlying understanding that legal and illegal financial procedures operate almost simultaneously, if conducted in an opaque enough manner. This was continued with the massive story (that would not go on to survive too many news cycles, in truth), in which files from the offshore law firm Appleby had its documents leaked – the so-called ‘Paradise Papers’ leak. The leak saw the elite’s business practices publically displayed, with members such as the British Royal Family, Business leaders like Robert Kraft, and celebrities such as Madonna having their investment practices revealed. Whilst there was plenty of commentators keen to make the distinction between tax-avoidance and tax-evasion, the short-term effect was for the public to negatively react in relation to the pain being felt by the general public at this time of continuing austerity. However, the extent of that reaction, and the media coverage of it, was to be extraordinarily limited, and there may be a number of reasons for that. Before we get to those reasons, there were plenty of instances of corporate fraud, bribery and corruption that deserve a mention over the past year. In terms of corporate fraud, it was interesting to note the amount of corporate bodies who were, or who continue to be charged with fraud over the past year (which saw us concentrate on a small number of regulatory bodies leading that fight, like the Serious Fraud Office (SFO) in the U.K.). In the banking industry, a number of leading banks were charged throughout the year, with Barclays, RBS, HSBC, and a number of others charged for various offences. Furthermore, both RBS and Lloyds have become embroiled in bitter battles over the compensation for those who have been proven to have been effected by their fraudulent practices (or those carried out in their, or companies they have acquired, name); RBS is currently attempting to stem the bleeding from their ‘Global Restructuring Group’ unit, whilst Lloyds are still yet to compensate the victims of HBoS’ Reading Unit – both instances concern the banks and their affiliates deliberately pilfering failing (and sometimes healthy) SMEs. In other sectors, two of the ‘Big Four’ accounting firms were charged and fined by the U.S. Securities and Exchange Commission, the massive Aerospace Company Airbus is currently under investigation in the U.S. for flouting compliance regulations, and in the Automotive sector Rolls-Royce entered into the largest ‘Deferred Prosecution Agreement’ with the SFO in British history. There have been many other instances, like those seen in the tobacco industry and the current investigations into the Oil and Gas industry as we saw yesterday; however, certain instances have suggested that we should be guarded when lauding these developments in the fight against corruption, fraud, and illegal financial activities. In the U.S., their largest actions have come in relation to the massive trade-related confrontation that began in the aerospace industry with the trade battle between Boeing, Bombardier, and later Airbus; this falls in line with the proudly-declared protectionist rhetoric uttered by President Trump during and after his run for office. 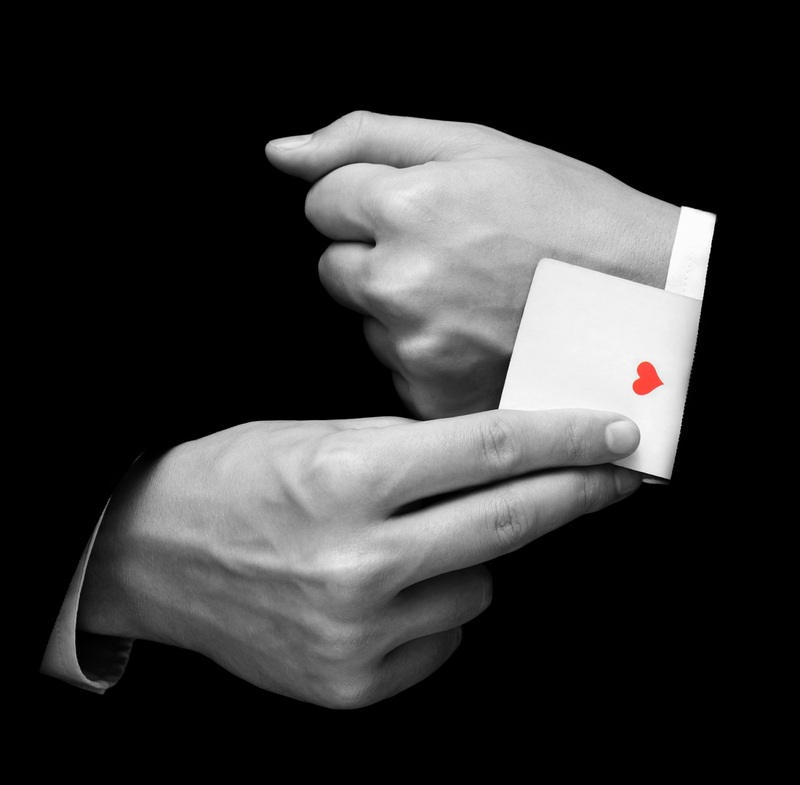 In the U.K., advances in the fight against financial crime have been consistently trolled by the underlying reality that, for whatever reason, the political elite in the U.K. seek to eliminate the Serious Fraud Office, which has been demonstrated by their endeavour to either underfund, directly dismantle, or covertly dismantle the regulatory body that is, by far, leading the fight against financial crime in the U.K. and around the world in certain cases. The reasons for these developments are plenty, but the time afforded to either (a) the successes or (b) the developments of the financial-crime related stories is extraordinarily telling. Whilst ‘real’ crime is given excessive air time, the crime of the financial arena is barely discussed – focusing on the airtime offered to the revelations stemming from the Panama and Paradise papers illustrated quite clearly that the public will have to look intently for these stories; they will not be told. The inference is that other crime is more important for the public to understand and comprehend, but in truth no crime affects society more than financial crime, particularly when it is systemic in nature. When the stories are taken in isolation, they can be written-off as a ‘culture’ within a certain industry or amongst a very few individuals, but when taken as a collective, the impact is abundantly clear. To that end, we will continue now by looking at the developments within certain industries to achieve that aggregated outlook. Industry in this section relates to developments within certain sectors, so obviously it will be impossible to adequately review every sector that has been discussed over the past year. However, some stand out and the sentiment these analyses offer is one of a battle against a systemic culture, which is a key element in understand why certain actors in the way they do, and how one may realistically predict developments – the need to analyse from within the actual v desired framework that will be promoted in a forthcoming monograph by this author will be clear. Starting close to (this author’s) home, the credit rating agencies have been discussed on a number of occasions, with their transgressive nature being used as a warning as the ‘Big Three’ endeavour to spread their products and presence to a number of new markets, like Saudi Arabia and the developing sustainable finance ‘movement’. In the banking industry, smaller banks have been facing trouble (like the Co-Operative Bank and a number of Italian Banks) whilst larger banks have enjoyed protection based on their size a.k.a. too big to fail which, as a concept, was successfully challenged by the insurance industry as demonstrated by AIG’s removal from the at-risk register in that regard. In the banking industry, there have been a number of remarkable failures over the last year like the increased closure of branches, the removal of whistle-blower protection, widespread AML failures, and disregard for their victims, but all of these issues have been buttressed by a political and regulatory foundation that continues to offer unwavering support, as demonstrated by Trump’s insistence on deregulation and Philip Hammond’s insistence that we ‘live in the real world’ in relation to taxpayers paying for the crimes and failures of the financial elite re RBS, as just two examples. There have been many other instances, across the financial and commercial sector, that suggest the current environment is one of appeasement with only one loser; the public. Whilst this is the undercurrent of a lot of posts here in Financial Regulation Matters, is with good reason. Throughout the year, there have been countless instances of the sheer disdain from the powerful for the general public, and the following are just some of the examples that we have looked at. We began the year by looking at the findings of the ‘Financial Exclusion Committee’ that was tasked by the House of Lords in the U.K. to assess a number of aspects whereby the financial world negatively impacts upon society, and they certainly had their work cut out. Just some of the angles they examined was the remarkable increase in predatory lending that continues to plague the vulnerable. In relation to the vulnerable, the issue of the incredible but unfortunately necessary (in the current paradigm) explosion of the usage of food banks across the country (including in Universities), as well as the simultaneous mental health epidemic (amongst a whole host of societal issues) was covered frequently, as too was the disgusting sentiments offered by Jacob Rees-Mogg with his declaration that the use of food banks was actually ‘uplifting’. Returning to mental health for one moment, we saw how the increased pressure that austerity and the effects of an era-defining financial crisis, or wealth-extraction event was negatively affecting the general public, particularly those in vulnerable positions or high-pressured position in relation to their life chances i.e. students facing an onslaught from tuition fees to exploitative accommodation prices; the mental health crisis that exists within the U.K.’s Higher Education system is as clear an indicator as is necessary. Yet, for all the posts that discussed these issues throughout the year, the post that responded to the ‘landmark study’ that suggested the austerity-era policies account for nothing more than ‘economic murder’ was perhaps the most revealing; to have an extra 120,000 unnecessary deaths, with an extra 150,000 predicted between 2015 and 2020 all related to austerity-era policies, on the back of an event that has saw not one person of any real significance jailed demonstrates the reality of the situation. The pattern is clear to see; on the back of the largest wealth-extraction event since the Crash of 1929 and the ensuing depression, it is the vulnerable who pay the real price. The ultimate question, then, is who is supposed to prevent, or at least reduce the impact of such a pattern? The answer to that is financial regulators, and in a number of posts this year we have assessed some of the major regulatory players in detail. We have focused on a number of regulators throughout the year from within a number of jurisdictions, ranging from China, Australia, Europe, and the U.S. However, we have spent a lot of time looking at British regulators, with the Financial Conduct Authority, the Financial Reporting Council, and the Serious Fraud Office mostly taking centre stage (in addition to national treasuries like the Federal Reserve and HM Treasury). A common theme that has emerged, rather predictably but still unfortunately, is that these regulatory bodies are particularly underfunded and intrinsically bound to national protection, which as we have seen consistently trumps the requirement to protect the public: regrettably, the impact of a failed bank or even the perception that would be created if leading financial figures were to be imprisoned is more important than public protection. The issue of regulatory budgets came into focus in August, and what we found was that many, if not all, regulators are directly underfunded, and continue to have their budgets slashed, just as their importance continues to develop; the overriding inference, as directly articulated by Trump and his followers (as is their way) is that regulation is bad for business, and that if one wants economic growth then one must deregulate to achieve it. What is rarely questioned, in the mainstream at least, is what does this yearning for economic growth actually mean? What we learned recently, or perhaps had confirmed, as was brutally demonstrated by Trump’s new tax laws, is that deregulation is designed to provide a green light for the financial elite to begin processes that systematically extract wealth from the system; Greenspan’s efforts were the direct precursor for the financial crisis – the elite understood the system and executed their respective roles in a ruthless manner. Whilst the cycles of the economy oscillate away from the Crisis, the lessons of history have been ignored, yet again, on a grand scale – the threat of political populism threatened a return to the post-Depression era that was mired in war and death on a remarkable scale, but the effects of the post-Crisis era are still to unfold, even a decade later. Reviewing the actions of regulators in the post-Crisis era has demonstrated that whilst words are easily spoken, the actions of influential regulators are the same as ever – they are pro-business and always will be; the situation with RBS and the regulator’s complicity in helping them to cover up their actions drew scorn, but was not in the least bit surprising. Whilst one would not to be entirely pessimistic, the reality of the situation historically leaves little room for optimism, although what the future holds in terms of the cyclical development for business, regulators, and the public remains to be seen. Ultimately, the year in business has been directly representative of the global undercurrent that has been developing since the Crisis. We have seen extensive political upheaval and reconfiguration, with China and Russia repositioning themselves to increase their influence against the backdrop of isolation and protectionism from established leaders like the U.S. and the U.K. What is a common theme, particularly since 2016, is one of uncertainty, and the common adage is that business hates uncertainty. However, we are seeing business, and particularly big business, avoid accountability for their actions and, quite remarkably, we are seeing their interests actually dominating the political dialogue. Yet, is that really remarkable? In reality, is probably unremarkable, but the continued assault on the public, and particularly the vulnerable sectors of the public, continues to astound. It continues to astound not because of its existence – it is hardly a Marxist view to suggest that the poor lose out in the current system – but it is the severity, and the unrepentant rhetoric that astounds, because irrespective of political affiliation it is surely never acceptable to see nurses, students, and the disabled funnelled into food banks and made destitute whilst executive pay continues to rise, criminal prosecutions in the financial arena continue to be confined to the confines of make-believe, and politicians continue to deflect attention towards nonsensical issues like the colour of passports etc. Ultimately, it is hoped that that the assault at least subsides in the coming year to allow for some much needed relief, in whatever limited form, for those who bear the brunt of the system – the impending secession of the U.K. from the E.U., and the continued presence of President Trump in the Oval Office suggest that one may have to wait for that hope to become reality. ** As it is the end of the first year for Financial Regulation Matters, I would like to take this opportunity to articulate my sincerest gratitude to a number of people. I would like to start by saying thank you to a dear friend who helped to me to develop the blog initially, and encouraged me to continue to develop it in the early stages, that support was and is very much appreciated. I would also like to thank my contributors over the year who have kindly written for the blog and who have helped enhance it considerably. Lastly, but certainly not leastly, I would like to express my sincerest gratitude for the support the blog has received over the last year. Having only started in February the blog, with almost 200 posts, has garnered hundreds of thousands of views and hundreds of subscribers, and that support has been invaluable as the blog has continued to go from strength to strength. For those of you that read and subscribe to the blog, your continued support is very much appreciated and is a constitutive component of why I continue to critically assess these developing business stories – your continued support by way of readership, subscriptions, and spreading knowledge of the blog across your social media platforms will also be genuinely appreciated, and will help the blog elevate to that next level in 2018 and beyond. To all of you, wherever you are around the world, Financial Regulation Matters wishes you the happiest of New Years! On quite a few occasions here in Financial Regulation Matters, we have looked at the issue of corruption; that subject has taken across a number of industries, ranging from automobiles, tobacco, aerospace, and technology. In today’s post, the focus turns to the Oil and Gas Industry with news coming earlier in the month from Italy that one of the ‘biggest corporate bribery trials in history’ will start in 2019. So, we shall look at some of the details of the forthcoming case and assess it against a backdrop of legal action which is, on a global scale, looking to take the fight to corporate corruption. 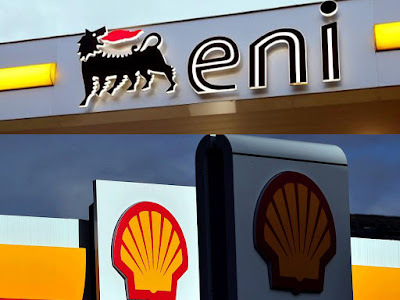 It was announced on the 20th of December that industry-leading corporate giants Royal Dutch Shell and Eni would have to face trial in 2019, in Milan, to face allegations of corporate bribery in relation to a Nigerian oil-field. The trial is to focus on payments made by the companies in 2011, with the allegation being that the payments constituted bribes to secure a Nigerian offshore exploration contract, as well as a particular production block. The legal filings, which initiate proceedings against the two companies and key personnel like Eni’s Chief Executive, allege that, in the words of anti-corruption campaigners, ‘the Nigerian people lost out on over $1 billion, equivalent to the country’s entire health budget’; Reuters reports that the actual figure is closer to $1.3 billion, and concerns the former Oil Minister specifically. Mr Etete, the former Oil Minister, is said to have personally profited from the large payment, and thus deprived the Nigerian people from funds that should have entered the public fisc; Reuters continue by confirming that Etete, in 2007, was convicted by a French court for money laundering related to the same area. Quite rightly, anti-corruption campaigners have been particularly vocal regarding these developments, with some suggesting that this may prove to be a ‘landmark case’ which should be ‘something of massive concern for the companies involved’. That may well be the case, with simultaneous investigations underway in Nigeria, Italy, and the Netherlands. However, the companies are adamant that the payments were legal and they do not know, and are not expected to know, what happened to the money once it was paid – the inference being that this case is an embezzlement case against Etete. Yet, anti-corruption group Global Witness and Finance Uncovered argue that, in what is really the crux of the case, the two companies’ executives knew the payments were going to Etete’s front-companies, with the reason being to allow Etete to bribe the relevant officials. Nevertheless, the real question is whether the suggestion that ‘this case heralds the dawning of the age of accountability’ represents reality. Ultimately, there have been a number of positive developments in relation to the fight against corruption. Using the U.K. as just one example, the recent successes of the Serious Fraud Office in securing a £800 million + ‘deferred prosecution agreement’ with Rolls-Royce seemed to be the heralding of that new era in the U.K., which will have to play a central role in developing that new era owing to the centrality of London within the financial landscape. However, whilst on the surface it may look like developments are being made, there are worrying signs that Rolls-Royce have been designated as the scapegoat in this regard (although that should not detract from their transgressions) and that their penalty represents a veneer. We spoke recently about the political posturing that is currently surrounding the Serious Fraud Office on the personal whim of Theresa May and Amber Rudd, and recent news concerning the tobacco industry makes for worrying reading. It was reported today that senior MPs for the Conservative and DUP party, the ruling parties in the U.K. by way of their enforced alliance, have been hosting a string of receptions, lunches and dinners with senior members of leading tobacco companies like British American Tobacco and Philip Morris International. Whilst the news stories focus more upon the health effects of the companies’ products, the reality is that large international firms who have been proven to be partaking in bribery and corruption are not only courting senior political figures (as one would expect) but are having those advances reciprocated. Whilst the hope in relation to Shell and Eni is that the case will herald a new era, we know by now here in Financial Regulation Matters that one needs to focus on action rather than words, and in that regard there appears to be very little difference. The case will be an interesting legal event in that it pits exceptionally large multinational corporations against a country that is heavily dependent upon their business, but can one really foresee Executives being imprisoned? No. Can one expect to see the Nigerian people have their $1.3 billion returned to them? Perhaps in some limited form. The obvious result of this case is that Etete takes the fall, and whilst that may be justified if certain events are proven to have taken place, the underlying structure and processes will remain. In this very short post, the focus will be on the difficulties being faced at the moment by the famous ‘Toys-R-Us’ brand, founded almost 70 years ago in the United States. Founded in 1948 by Charles Lazarus, the company would go on to be a huge success, essentially coming to be synonymous with the children’s toys market; the company has since gone on to establish itself in countries all around the world, and today’s post will focus on its U.K. operations, which began in 1985, and the troubles facing the company as a whole. It was reported earlier today that rather than demonstrate the continuance of this success, the British arm of the Toys R Us Company is facing the prospect of going into administration – the process whereby an administrator takes charge and attempts to rescue the company as a going concern. This negative development will, according to reports, put more than 3,000 British jobs at risk, with the prospect of administration drawing ever closer after an attempt to reorganise the company was blocked by the Pension Protection Fund (PPF), the company’s largest creditor, on the basis that the company is already operating with a £25-35 million shortfall in its pension reserves which, according to the PPF, would be worsened by the proposed reorganisation. Before a company goes into administration, it can enter into what is termed a ‘Company Voluntary Arrangement’ (CVA) which is, essentially, a last ditch effort to reorganise upon favourable terms – it is this that the PPF has refused to enter into. Under the terms of their arrangement, the PPF has the right to enforce a £9 million payment, and whilst Toys R Us UK proposed to pay only £1.6 million, the PPF is standing firm; the impasse comes because, quite simply, Toys R Us UK cannot afford to pay any more. Usually, the obvious resolution would be for the subsidiary to receive assistance from its American parent, but in September of this year the parent company filed for Chapter 11 Bankruptcy protection, with it owing nearly $5 billion. 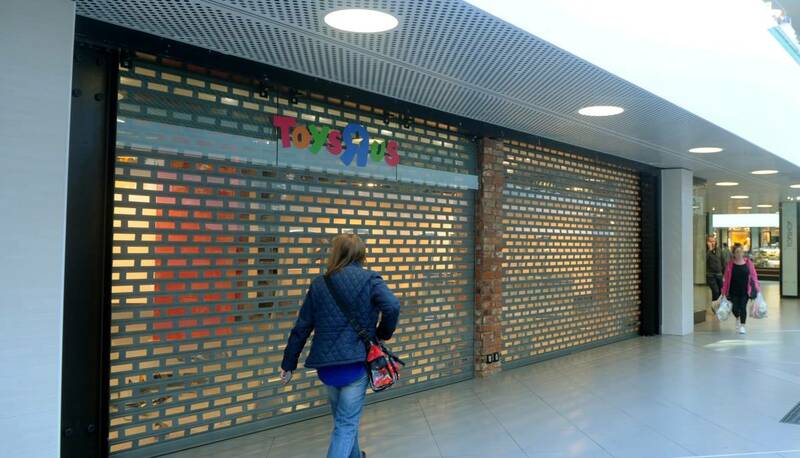 Therefore, regardless of whether the company is suffering because it is ‘dated’, under pressure from online retailers, or mismanaged, it is likely that we will see Toys R Us, in the U.K. at least, go into administration. However, it is worth asking what this really means. Technically, it means that the company needs to be reorganised, and that a professional administrator, with all the tools they have at their disposal – including being able to institute a moratorium which means an instituting of a freeze on all claims against the company whilst it is being reorganised – is best placed to perform that reorganisation. However, in reality, the processes that Toys R Us are facing are critical junctures in a company’s life-cycle, and ones that not many survive. Research suggests that more than two-thirds of businesses going into administration never make it out, with around 10% surviving and remaining active for an extended period of time; between 2011 and 2016, ‘Company Watch’ found that of just over 2,600 administrative procedures that were completed in that time, 2,344 companies were eventually liquidated, with only 263 using the CVA process to their advantage i.e. surviving the process. Whilst there are some small caveats to these figures – some companies are dismantled and redeveloped through a process called pre-pack administration – the point still stands that the U.K. is about to lose another recognisable brand, and thousands of employees are facing redundancy, just like those of BHS, Jaeger, and the remarkable amount of stores declaring mass store closures across the U.K. and the U.S. The question, then, is whether these ‘rescue culture’ procedures need to be redesigned, or even reimagined. 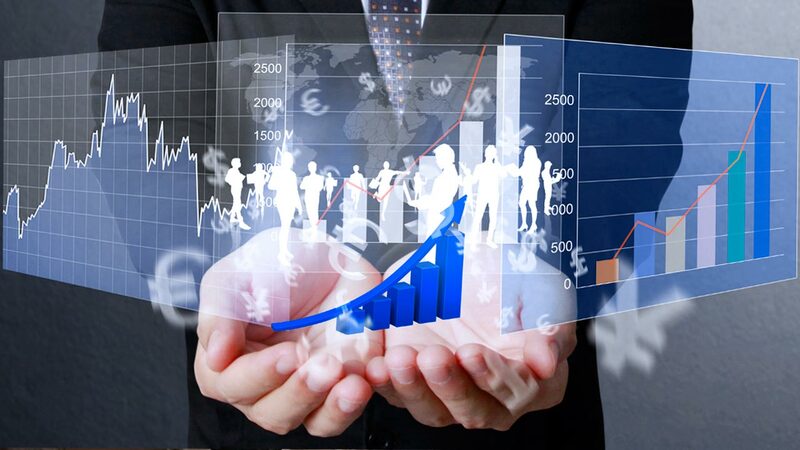 Ultimately, that is an ongoing development that is being tested all the time as large and recognisable businesses face the onslaught of the post-Crisis environment; despite news of record highs in stock markets and whatever else is being used to declare economic strength, the world does not right itself so soon after such an invasive attack. Unfortunately, it is hard to imagine that Toys R Us will be the last company to fail in the near future, which continues the distress felt by those who usually suffer from the follies of the financial elite – the general public. Whilst the process of rescuing companies needs to be reimagined, if that is even desired, it is likely that any positive effect in that field will not come in time to save thousands upon thousands of jobs, and the most recognisable of brands. For more on this subject and the continued study of these rescue-culture procedures, please do follow @ChrisUmfreville, a researcher who focuses on developments in this area. The final post today looks at the company behind the massive HS2 infrastructure project that will see some of the U.K.’s largest cities connected by a new high-speed railway system. We have looked fleetingly at the project before when we focused on the travails of Carillion, just one of the firms tasked with seeing this large-scale project realised. However, whilst Carillion is experiencing a period of difficulty at the moment, the HS2 Company itself has this week been thrust into the limelight because of its organisational structure, and its compensation to key individuals. So, in this post, we will look at the developing story and assess the development of this integral project. High Speed Two, or HS2, is the name given to the large-scale infrastructure project that aims to connect Britain’s largest Cities by way of modern high-speed rail links and is coordinated by the HS2 Ltd Company that is funded by grant-in-aid from the Government. 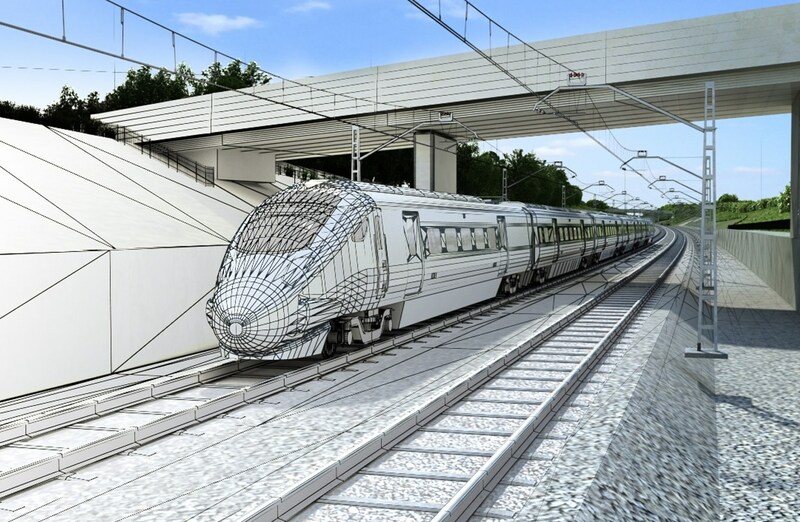 The project will see eight different cities connected, with the stated aim being to ‘[rebalance] our economy long before the trains start running’; the Company predicts that HS2 will create around 25,000 jobs and fuel economic benefits totalling over £103 billion. However, ever since the project was first declared, there has been a number of criticisms and objections, relating to such aspects as the trains running through certain areas, the structure and plans of the project, and the spiralling costs, and recently the focus has turned to the financial side of the project, with remuneration being chief amongst those. It was reported last week that MPs were growing increasingly concerned certain staff members being vastly overpaid by the Company, with some going as far to call for legal action to be taken by the Government. So far, the most contentious element in this regard has been the fact that the Company has paid out £2.76 million to 94 individuals in relation to redundancy payments, despite there being a statutory cap of £1 million, something which has been labelled by MPs on the Public Accounts Committee as ‘a shocking waste of taxpayers’ money’. Yet, over the past week, the plot has continued to thicken. Last week it was reported that the National Audit Office (NAO) found that the Company’s former Chief Executive, Simon Kirby, had been expressly forbidden from allowing the redundancy payments, or even just proposing them in furtherance of the cap. Yet, the story goes that the email in question, forbidding the payments, was not forwarded to the relevant members of the Board and, upon investigation by the NAO, it was found that documents were tampered with after the fact to cover up these ‘mistakes’. The Public Accounts Committee were damning in their judgement, declaring that the Company ‘lacks basic financial controls [which] heightened the risk of fraud and financial errors’; today, that damning email came to light. The Guardian reported that Kirby was warned that even to propose the pay-outs ‘would cause enormous reputational damage to the company’, and that, for the Department of Transport, ‘this is an absolute RED LINE for us. Company employees are not civil servants. They have to take the rough with the smooth’. So far, Kirby has suggested only that he ‘did not recall’ whether that email was forwarded to the Board, and that decision to make employees redundant was taken after he had left; yet, these revelations are extraordinarily damning for Kirby, and his destination post-HS2 raises further concerns. In one of the first posts here in Financial Regulation Matters, we looked at what seemed to be a culture of fraud, bribery, and essentially financial negligence within one of the world’s most recognisable brands – Rolls-Royce; in September 2016, Simon Kirby joined Rolls-Royce as its Chief Operating Officer, with the firm declaring that the appointment was designed to ‘drive operational and financial performance across the business…’. With MPs concerned that Kirby ‘has not been held to account for his actions’, the pressure is continuing to build for Kirby and his new employer, as the smell of financial negligence will certainly be unwelcome given that the firm is currently operating under the largest ‘Deferred Prosecution Agreement’ ever appropriated by a British agency (the Serious Fraud Office) for bribery, fraud, and all-around financial negligence. Nonetheless, whilst Kirby waits to find out whether that pressure results in action, the knock-on effect for HS2 is severe. In reality, the HS2 project is an extremely expensive and precarious project, being executed at precisely the time were increased expense and precariousness are not at all desired. In this era where austerity continues and the country is facing an increasingly uncertain economic future, projects such as HS2 need to be delivered with the utmost integrity, and today’s latest developments represent a hammer blow to that ideal. If, and one suspects it is more than likely, investigations continue and find systemic issues, it should be the case that the organisational elements of the Company are thoroughly re-examined and altered accordingly; however, the reality is that the Company will likely need much more than the £55 billion that it requires, and this is the cause of the Government’s push to encourage foreign investment from the likes of China – the question then is do the Government dare tackle what may be systemic fraud and financial negligence in light of the proposed reality that the project will need even more money from the public fisc and/or foreign governments? The likely answer to that question is a resounding ‘no’, and it is for that reason that Simon Kirby may not have escaped the clutches of justice on this occasion; simply put, his actions regarding the damning email make him the perfect ‘fall guy’ for what may be systemic issues within the HS2 project. This short post reacts to the news today that banks and building societies are being enlisted by the British Government to check the immigration status of millions of people and take the appropriate action – essentially putting banks on the front-line in the push to reduce the levels of people living in this country without the appropriate leave to do so. The obvious question to be raised by this move is whether the banking system is the appropriate vehicle to meet this objective, and what may be the connotations for it doing so. 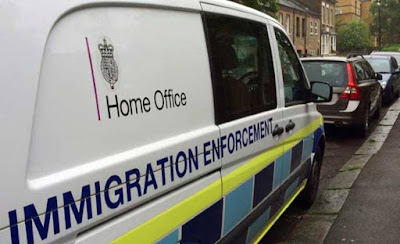 It was declared in the Autumn (via the Immigration Act 2016) that banks and building societies would be given a list by the anti-fraud organisation Cifas that contained the details of people who are officially liable to be removed or deported from the U.K., or who have absconded from immigration control, with the Home Office stating that the new system would be ‘fair but firm’. The design of the new system would be that banks (and building societies) would have to check almost 70 million accounts against the database on a quarterly basis, and people who are found to be matched to the database would need to have their accounts frozen and their details relayed to the Home Office for further decision. However, at the time, a former Board member of TSB, and a former Home Office employee, raised concern about this, simply stating that ‘this is in the hands of the Home Office and the banks, neither of which are exactly known for flawless execution’. The criticism continued in the ensuing months, with lawyers warning that in almost 10% of cases where an individual had been unable to open a bank account because of their immigration status, that decision had been wrong and, as another lawyer affirmed, there is a real risk that, based upon incorrect figures being included within the database, there was a real risk that innocent people would be left destitute owing the minimal avenues of recourse available; clearly, those who fall into this category will likely not have the legal funds or wherewithal to challenge these decisions in a timely enough manner. Further criticism centred on the continued outsourcing of responsibility by the Conservative Government, with the Liberal Democrat Home Affairs spokesperson suggesting that this move was nothing more than a ‘passing of the buck’. Nonetheless, the plans have developed, and today the regulatory framework that will accompany the roll-out in January was described. Banks and Building Societies will be tasked with this mammoth undertaking, and overseeing it all will be the Financial Conduct Authority. The initial suggestion by the government were that the institutions will be checking as many as 76 million accounts, with 6000 matches being projected in the first year and then 900 a year in following years, a process which would see fines and penalties appropriated for non-compliance or poor execution. Whilst one law firm discussed today the challenge that would emerge in relation to high net-worth individuals who often have complex citizenship arrangements, fears remain over just how this plan will be executed. However, there are larger issues at hand. The first of these issues is that for poorer people who may fall into this category, even if incorrectly, there will be very little protection offered. There will be very little legal assistance available to those incorrectly caught by this system, with complaints likely to be resolved in a less than timely manner. Secondly, this system again demonstrates the Government’s commitment to outsourcing key policies to the private sector, with banks being forced into the role of gatekeeper in a new manner; the fundamental relationship that exists between a for-profit organisation and society is being constantly reimagined, with little regards for the mechanics that lay underneath – is it really appropriate to expect a for-profit organisation to devote adequate resources to performing this task, especially when the likelihood is that not doing so and receiving financial penalties will likely be much more profitable then actually allocating the necessary resources; this extra role on top of anti-money laundering tasks mean that it will be more prudent, technically speaking, for banks to effectively blacklist more people than it needs to, rather than taking the chance of falling foul of the regulations. If there is very little recourse available to blacklisted individuals who may be blacklisted incorrectly, then the dynamic that has been put in place in relation to checks and balances, and associated penalties, will need to be thoroughly examined. Ultimately, it is likely that this new policy will cause a lot of upset and, once again, see the public pay the price for the public-private partnership that is being consistently developed. In the first of a number of posts today, this post looks at some of the noises emanating from the financial elite within the U.K., particularly with regards to Brexit. It should come as no surprise that the decision to leave the E.U. has caused anxiety amongst business leaders within the City, and recent political developments have not made a positive impact in that regard. So, in this post, we shall look at some of the concerns that are being raised, and the impact that certain developments may have upon the City, and also the British society moreover; ultimately, the question developing is how the secession will play out in terms of finding a balance between the decision of the (very slight) majority of the electorate, and business within the U.K. The first development that needs to be examined is the political manoeuvrings that took place last week when, in Parliament, the Government saw its attempt to ‘promise to give assurances’ on a Parliamentary consultation over the final exit deal enshrined in law, which has an impact upon the perceived authority of the Conservative government. The effect of this is that the perceived authority of the Government to deliver a fair and developed deal for Britain has been fundamentally reduced, which then has a clear knock-on effect with respect of the faith in their ability to do so; the addition of extra steps before the secession is finalised, by way of decisions required by the European and British Parliaments, are said to be indicators of the near-certainty of a ‘soft-Brexit’ being adopted. Essentially, the vote represented the rejection of the push for a ‘hard-Brexit’ by what are being called ‘Tory-rebels’, with the Daily Mail inexplicably stoking tensions (and violent ones at that) with their rhetorical ‘Proud of Yourselves?’ front-page headline; the latest on a string of revolting journalistic declarations (one is reminded of their ‘Enemies of the People’ headline). However, the vote signifies a concerted attempt to reign in the extremist elements that seek a hard and pure Brexit, and over the weekend the City sought to continue this movement. 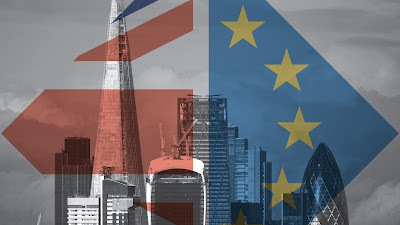 One of the leading City lobbyist groups – UK Finance – expressed their concern at the suggestion that the British Government was seeking a ‘bespoke’ agreement with the E.U. upon its secession, with the agreement that exists between the E.U. and Canada apparently being used as the template. Whilst the Chancellor of the Exchequer, Philip Hammond, declared over the weekend that the aim was to have a bespoke arrangement but not in the same vein as the Canada-E.U. arrangement, Michel Barnier – the E.U.’s Chief Brexit negotiator – was adamant that the U.K. would not be allowed to receive the perks of E.U. membership once it leaves; the discussions have now moved to developing a transitionary arrangement that would see the U.K. remain within the single market and under the auspices of the European legal framework for a period of two years after secession – something with Chief Brexiteer Jacob Rees-Mogg has suggested would be a negative, resulting in the U.K. becoming an ‘E.U. colony’. 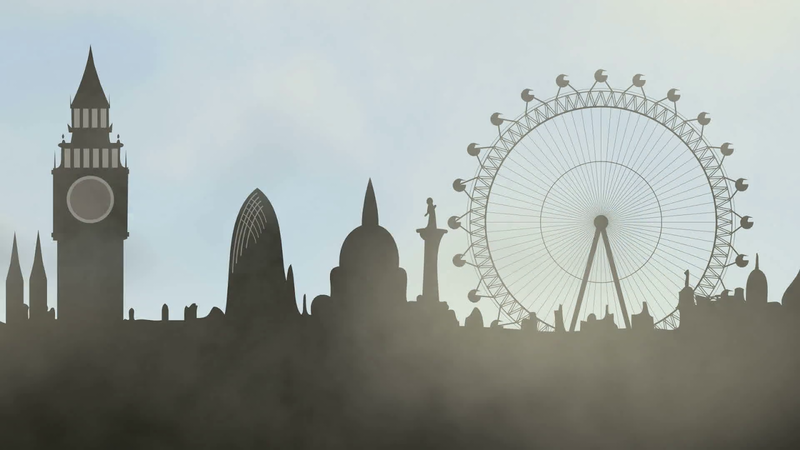 Nevertheless, the financial elite in the U.K. have made clear that the Canada-style arrangement would certainly not be optimal for British business, with the lobby group declaring that the Government must place the City at the very heart of its negotiations if the City is to survive such an impactful era. In reference to the Canada-style arrangement, the lobby group rightfully notes that the difference between the two situations is rather obvious – the arrangement with Canada was developed from a standing start, whilst the arrangement between Britain and the E.U. is intrinsically rooted in over 40 years of collaboration; simply put, one system is not translatable to the other. Whilst the lobby group praises Theresa May for advancing the negotiations, it is clear the cross-border movement of financial service provision, amongst many other things, is vital to the continued health of the financial markets of the U.K., which seems rather obvious. Yet, underlying all of these discussions, albeit not very subtly, is the understanding that business needs certainty to thrive; whilst uncertainty can be profitable in the short-term, in the long-term it is almost cancerous to business. This uncertainty is beginning, although in reality it started immediately after the vote to leave, to have an impact beyond financial borders. The Bank of England, discussing the results of a survey of over 6000 British households, note that over 35% of British households now believe that Brexit will cause significant economic damage to the country, up from 20% just after the referendum result was announced. Whilst the Bank of England have chosen to focus on more short-term impacts recently in terms of confidence, statistics such as these provide even more evidence that, as discussed previously here in Financial Regulation Matters, this E.U. referendum was nothing more than a botch job; a second referendum, even at this stage, would surely garner either (a) a different result or (b) a much higher and more representative turnout. It was affirmed recently that London still holds its place as one of the financial centres since the decision to leave the E.U. was taken, but the move by some of the largest financial players to make considerable moves into Europe recently is denting confidence – if confidence and certainty are two major components of the lifeblood of a successful economic system, the British financial marketplace is in short supply at the moment. The effect of all this is that one really must ask a broader and more abstract question. Ultimately, for Britain to retain its standing on the world stage, particularly in relation to the financial marketplace, the softest-Brexit imaginable is optimal. However, that goes in the face, presumably, of the decision taken in 2016. Therefore, the decision taken by the British electorate needs to be dissected. The first aspect to question is the extent to which the electorate wanted to leave the E.U., and unfortunately that cannot be known; whilst protagonists like Nigel Farage suggested that British people wanted an absolute secession, can that really be said to be the case? Or is it more likely that voters wanted certain elements of the U.K.’s relationship with the E.U. rearranged, like immigration for example. One may be forgiven for thinking that if certain elements of the secession were put on the table before the vote took place, then certain aspects of the relationship would have been highlighted more than others, but what was proposed has not been delivered as of yet, and that is because in reality it cannot be. In reality, it is the E.U. that holds the advantage in the negotiations, and that is mostly because of the importance of the City to the prosperity of the U.K.; a cherry-picked arrangement will cause a regressive precedent for the E.U., and a very soft-Brexit will likely damage the authority of the Conservative Party, probably beyond repair. Ultimately, the trajectory of these negotiations has already been set, it is probably just the case that certain people have not yet accepted it – an extremely soft-Brexit is the only possible result, because the U.K. cannot afford nothing else. So, after such political, social, and financial upheaval, the U.K. will still be bound by European laws, still be bound by freedom of movement, and it would have paid tens of billions for the privilege – the ignorance of the study of referenda will be a costly for the British society. In this third and final post of the day, we will take a brief look at a proposal being advanced today by the Labour Party, which attempts to convey their commitment to redistributing wealth across the U.K. rather than its current concentration in the South-East of the Country. This review will only be brief because, given the political landscape, it is all that it can be at the time of writing; however, whilst the suggested aim to redistribute the economic dynamic across the Country is hardly surprising given the stated aims and objectives of Jeremy Corbyn’s Labour Party, in reality the question this suggestion raises is two-fold: is the Party operating on any solid basis of reality, and then do they recognise the reality of the problems i.e. their root causes, or are they focusing on and subsequently adding to the façade that serves to preserve the current power structure? Surely, as recent and historical evidence suggests, anything other than a ‘root and branch’ redevelopment will have very few lasting positive consequences. The Shadow Chancellor, John McDonnell, has commissioned consultants to review potential options available to the Party if it wins the next General Election, and one option that is being promoted today is that the Bank of England, located in the City of London since 1694, should be relocated in whole or in part to Birmingham, because the current base is ‘unsatisfactory and leads to the regions being underweighted in policy decisions’. The prospective move would accentuate the development of the ‘National Investment Bank’ and the Strategic Investment Board’ in the city and would represent the development of a new ‘economic policy hub’. Whilst the suggestion so far is that the move would provide for a visible representation of the Party’s determination to ‘promote growth and a rebalancing of the economy’, the real question is ‘is that enough’ to uproot a British Institution for a ‘representation’? Of course, the answer is ‘no’, because whilst HSBC and potentially Channel 4 may be moving to the city, it is a different prospect entirely moving the Bank of England. The simple reason is that uprooting the Bank of England, so soon after the Country leaves the E.U. and faces the prospect of battling for international trade deals which will be underpinned by the perceived authority of the City of London as a financial centre, means McDonnell’s suggestion will remain on the drawing board irrespective of whether the Party comes to power or not; naturally, it is one thing suggesting policies from the side-lines as opposed to actually governing. Yet, whilst this counteracting point is the obvious one to make, the more obscure point is what effect would moving the bank actually have on ‘rebalancing’ the economy? 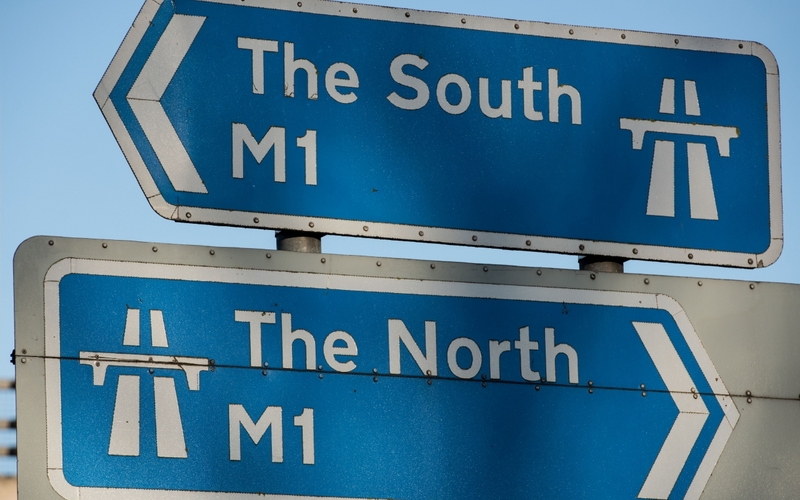 The divergence between basic economic indicators like wages and employment levels in both the North and the South of the country are clear for all to see, the political battle that is being fought on the basis of the development of the ‘Northern Powerhouse’ suggests that devolving power and authority may fulfil the aim of reducing the divide, but in many instances it may not. Theresa May was earlier this year forced to respond to critics that accused her of paying lip-service to the ideal, and whilst Labour supporters may not like hearing that their Party has similarities to the Conservative Party, McDonnell’s suggestion implies that this is the case; of all the things to be done, is relocating the Bank of England a worthy option? Is it even worth us discussing based upon the fact that diluting the influence of the City of London in the wake of Brexit is a non-starter? Whilst this author does not support either Party, it is worth stating that to rise to power the Labour Party should really seek to be rooted in realism to provide a realistic alternative to the Conservative Party who operate in a rather different way. Ultimately, the more noises we hear from the Labour Party about how they will govern whilst they are on the side-lines, particularly with respect like these calls today, will only serve to undermine their chances – only root-and-branch and consistent change, over a long period, will reduce the divide between the North and the South. In the second post today, the focus will be on the Serious Fraud Office (SFO) and its navigation of particularly choppy political waters. We have looked at the SFO on a number of occasions and in May this year we looked at how the Prime Minister was seemingly zeroing in on the SFO in the accumulation of what is an almost-relentless campaign to dismantle the agency. However, in news today, it appears that the new anti-corruption strategy developed by the Home Secretary – Amber Rudd – seeks to incorporate the SFO with the National Crime Agency (NCA) and not replace it, as had been suggested previously. However, what can the SFO make of this latest development? We have discussed the SFO on a number of occasions, with most references being to victories that the agency has scored, particularly in reference to the large Deferred Prosecution Agreement arranged with Rolls-Royce. The SFO has a number of other ‘victories’ to its name (e shall not revisit the discussion of whether DPAs are victories or not here) but that had not stopped the Prime Minister renewing an old vendetta against the SFO which has seen her attempt to dissolve the SFO in favour of the NCA since her time in office as Home Secretary. Yet, the current Home Secretary provided some potential relief for the recently successful but still beleaguered agency, although that sense of success was rocked recently with a scalding assessment of the agency’s competency regarding its usage of inappropriate witnesses during a high-profile case. Today, Rudd announced plans for a new ‘National Economic Crime Centre’, which will see the Centre based within the NCA and give it the power to task the SFO with conducting investigations regarding ‘the worst cases of fraud, money laundering and corruption’. Not only is the Home Secretary concerned with tackling financial crime, but she is also concerned with rooting out corruption in key social areas like within policing, prisons, and the Border Force, apparently. Furthermore, Rudd stated that the new initiative was not just designed to counter large-scale financial crime, but also small-scale everyday financial crime like phishing scams etc. However, whilst the media report this in the form of either a. the SFO has been spared or b. the Government is now getting serious over corruption, a closer inspection into the wording used by Rudd suggest something much more sinister. The Prime Minister has plenty on her plate at the moment, and wading into a public battle with an agency that has scored some impressive ‘wins’ recently is not only bad politics, but could potentially see the barometer swing away from her party in upcoming elections. Yet, whilst this author has many opinions of Theresa May, it is clear that her doggedness could never be underestimated, so with that in mind it is worth taking Rudd’s proclamation today with great care. Rudd stated that the NCA will have the power to task the SFO with investigating serious fraud, but in reality it already does this – it is part-and-parcel of its purpose. Whilst onlookers have been quick to declare that ‘it is reassuring that the Government appears to have abandoned its earlier plans to abolish the SFO’, in reality the Government have taken the first step to incorporating the SFO into the NCA, just as May had promised she would. However, by repackaging the move in the way that Rudd did today, in line with her unwavering allegiance to the Prime Minister, Theresa May has set the plan in motion and received the support of those that were so adamantly against her when she pledged to do this very same thing before the election. Depending on what media outlet one reads, if at all, one could be forgiven for falling into the trap of believing that she and her Government are incompetent and confused, when in fact they are anything but. In the first of three brief posts today, in order to stay abreast of a busy day in the financial arena, we will begin by looking at news that is coming out of the Department of Justice in the U.S. The news, that the DoJ is changing course on its agreement put in place to deter further transgressions by the multinational bank, is excellent news for the bank but, perhaps, sends a message about the pro-business sentiments that are emerging all the time under the Trump Administration. On two specific occasions here in Financial Regulation Matters, we have looked at HSBC in particular with reference to their almost infamous track record when it comes to financial crime, particularly money laundering. It is no secret that the large multinational bank has been involved in some particularly damaging news stories, including having to pay a £1.9 billion fine to U.S. authorities in 2012 for ‘exposing the U.S. financial system to money laundering, drug (and) terrorist financing risks’ and also the bank’s connection to the so-called ‘Global Laundromat’, which has seemingly been lost to the news cycles. 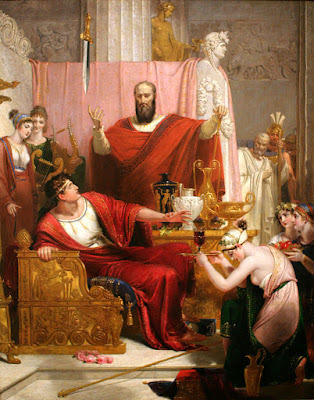 However, today, the focus is on the first of these two instances, with the suggestion emerging today that the DoJ will be filing a motion in New York that will see the ‘sword of Damocles’ – the charges attached to the Deferred Prosecution Agreement (DPA) that forced through the fine in 2012 – removed from over the head of HSBC. Many news outlets are carrying this story, and the Financial Times makes quite a point of indicating just how happy Stuart Gulliver (outgoing CEO), John Flint (incoming CEO), and Mark Tucker (non-Executive Chairman) will be with this result, with Gulliver proudly declaring that ‘HSBC is able to combat financial crime much more effectively today as the result of the significant reforms we have implemented over the last five years’. So, it would appear that Gulliver’s jubilance is deserved, given that it is surely the case that he is right because, quite frankly, the removal of the DPA must surely indicate the accuracy of the statement; regular readers of Financial Regulation Matters will know that we cannot be so fast to accept what we see, and the same principle unfortunately applies here. It was only at the beginning of this year when the FCA were investigating HSBC over its Anti-Money Laundering (AML) procedures over concerns relating to the bank’s thoroughness in this all-important sector, and it was only in 2016 that the lawyer appointed to HSBC to monitor its compliance with regulations as part of the DPA expressed ‘significant concerns’ over its ability, and willingness, to comply with a range of regulations like AML regulations. Yet, this is seemingly not enough evidence to remain vigilant, and if the DoJ does indeed decide to lift the sword of Damocles, then it is essentially releasing HSBC from the continued restraint that the DPA brings – if it was showing concerning levels of compliance with a DPA-associated Lawyer on board, what will it do without the continued presence of a 3rd party overseer? The optimist will agree with Gulliver, that improvements have been made, but the pessimist will argue that there is little evidence of that; the continued transgressions make the optimist’s argument almost null and void. However, this ignorance of evidence is a common theme in the post-2016 political environment, and the willingness of the DoJ to intervene will be a clear signal that the U.S. is open for business and does not seek to operate conservatively based upon recent damage. It is, unfortunately, a signal that the marketplace will respond to, and not in a socially-positive manner. Today’s post acts as a small review of two specific news pieces that broke today concerning two financial regulators in the U.K. Whilst one would have had to have been quick to spot these stories, with both falling down the list of financial news stories rather quickly, each has particularly strong knock-on effects, but for differing reasons. So, in this post, a little more detail will be added as both of those stories represent the latest iterations of themes that have formed the basis of a number of posts here in Financial Regulation Matters. The first story is concerned with the infamous report conducted by the FCA regarding the actions of RBS and its ‘Global Restructuring Group’ (GRG). We have covered this issue on a number of occasions, and heard most recently that whilst the FCA has been busy investigating and punishing a number of firms of their failures, firms like BrightHouse and Equifax, their hesitancy to take any serious action against RBS has garnered plenty of justified criticism – although it is worth noting that, in general, the rate of fines being imposed by the FCA is steadily reducing (it is not suggested here, of course, that this is because of increased standards in the marketplace [!]). Even in response to Governmental pressure via the Treasury Select Committee and its new Chair Nicky Morgan, the FCA refused to bow to the pressure and released just a summary of their report on the investigation; yet, today, we were given a reason as to why this was. The official story being developed is that the FCA could not reveal the report in full because of fears over counter-litigation from those involved – a process known as ‘Maxwellisation’ which is the process whereby those accused in an official report have to be notified and consulted first. Internal Board minutes reveal that the ‘external counsel’s advice led [the FCA] to the conclusion that publication of the final report would expose the FCA to an unacceptable risk of successful legal action by current/former RBS managers’. So, what does this mean? Well, it essentially means that the process will be incredibly long-winded and, likely, will be downplayed as much as humanly possible to reduce the exposure of RBS, a majoritively state-owned business, from major investigation. However, it denotes something much more important – if Maxwellisation prevents these reports from being publically aired, which as a process is justifiable in theory (i.e. what if those accused were themselves not guilty? ), then maybe we should be asking a different question – maybe, rather than looking to air an investigation, the FCA seeks to criminally prosecute those responsible for breaching a multitude of duties that they owe to connected parties; then, the issue of Maxwellisation goes away, because those accused would have to answer for their alleged wrongdoing in a court of law. Obviously, that is a fanciful suggestion in this arena, but the principle still stands; we are being faced with the prospect that those in the financial arena are, almost, immune to punishment. So, as we move on to the second story, a question that links the two may be ‘how may we protect against Executive excesses and misdeeds? One answer may be to have employee representatives on Boards of companies to provide for more balance, representation, and diversity in the decision-making organ of a company. That idea is not based upon a speech from Jeremy Corbyn, or anyone else fundamentally associated with ‘the left’, but from the leader of the Conservative Party and Prime Minister, Theresa May. Speaking in May of 2016, the then Home Secretary was developing her pitch to take over the Conservative Party on a number of political platforms; one of which was her pitch to make the Country ‘work for all’, and in turn to increase social mobility – whilst it is obvious to anyone who cares to notice the widespread usage of foodbanks under her premiership, the abdication of the Government’s ‘Social Mobility Tsar’ and his entire team on the basis of his perception of ‘indecision, dysfunctionality and lack of leadership’ in number 10 should come as absolutely no surprise. Another of her key platforms was to ‘completely, absolutely, unequivocally’ put the Conservatives ‘at the service of working people’ and one way in which she planned to achieve that was to instil workers on company boards and mandate that shareholder votes on executive pay were to become binding, rather than advisory. Unless one has been living under a rock, or is an ardent Conservative, it should come as no surprise once more to hear that ‘Theresa May has backed away from plans set out in her Tory leadership campaign to put workers on company boards’. However, this is to be expected because, quite simply, why would she keep her promise? There is no consequence, politically, to breaking promises (think of the Big Red Bus). Yet, today, the Financial Reporting Council (FRC) waded into the minefield by seemingly confirming Theresa May’s U-turn by declaring that the revised UK Corporate Governance Code will have three options for companies to heed the advice of employee representatives, with all being based upon the comply-or-explain principle (the consultation phase continues up until February 2018). Those three options include assigning a specified non-Executive Director to represent employees, creating an employee advisory council, or to nominate a Director from the pool of employees; these sound good in theory, but the backing-down away from May’s pledge is the real headline here. Whilst the FRC discusses how it may go about encouraging this behaviour, and increasing the intake and representativeness of under-represented peoples within companies, the sheer ineffectiveness of the FRC is likely to garner any serious results in this regard. Ultimately, these regulatory developments signal the position of the regulator – they are fundamentally constrained; to say that these regulators are hamstrung is to downplay their position. On many occasions this author has called for regulators to be braver, more direct, and more honest about their efforts to make a serious impact upon these dynamics that cause so much harm, but in reality it is worth asking what is it they can actually do? Do they have the systemic support to put RBS Executives in the dock? No. Do they have the support to enforce that workers are sat on every board in the country? No. Do they have the support to provide for anything more than token penalties in the forms of fines that companies write off in a matter of hours/days/weeks? No. So, whilst it is right that regulators are critically examined for their role with respect to these corporate failings, it is worthwhile remembering that with a systemic support network based upon justified, proportionate, and righteous punishment, these regulators will never be much more than official wrist-slappers, regrettably. In today’s post we will turn our attention to the role of the Investor in the global financial dynamic, as although we spend plenty of time here in Financial Regulation Matters looking at the iniquities of the marketplace via the actions of banks, rating agencies, governmental agencies and financial regulators, the role of the investor is just as important, if not more so. Whilst an assessment like this is always valid, this post is reacting specifically to a report last week that investors are returning to the products that brought the world to its knees in 2007/8, all for increased returns. So, in this post, this issue will be assessed because, on a number of occasions here we have spoken about the potential rise of the ‘responsible investor’ since the Crisis; perhaps we should be more careful with such discussions in the future. The role of the investor in relation to the causation of the Financial Crisis is no secret, with a number of analyses choosing to focus upon it specifically. In one Handbook, an analysis that was undertaken to describe the processes of investors in relation to the cycles surrounding the Crisis suggested that the pre-Crisis phase is dominated by the sentiment that a crisis cannot happen, and then the realisation that it can usually encourages a systemic shock that prevents further abuse moving forward (for a certain time anyway). However, whilst this ‘financial amnesia’ may seem obvious, the analysis suggests that the difference with this Crisis was that the extensive Quantitative-Easing (QE) programme has essentially removed that period of shock and consequence, which ties in neatly to the theme of this post. Another analysis suggests that what lies at the core of this hazardous dynamic between the investors and the financial system is that once investors, i.e. ‘retail’ investors, are differentiated from ‘sophisticated investors’ (SIs), the protections put in place are stripped away on the basis of an entrenched belief that SIs can police their own markets. It is likely for this reason that, in the aftermath of the Crisis, the Chartered Financial Analyst Society in the U.K. argued that fund managers and financial advisors should be forced to study financial history to reduce the likelihood of financial crises. Whilst this is obviously a good idea in theory, it is clearly a non-starter in reality; yet, this claim brings forward two issues: firstly, enforcing SIs to study is symptomatic of a system that cannot enforce strict regulations; secondly, allowing SIs to police themselves ignores one vital component – what drives an SI? We have looked on a few occasions in Financial Regulation Matters at what drives the SIs, and we have looked specifically at what some are suggesting the future will be in relation to this question; one such post looked at the chances of an increased sensibility to social responsibility. Yet, whilst discussions like those are usually related to the aim of trying provide some positive or hopeful analyses, the cold hard truth is that SIs are only interested, principally, in one thing – the highest returns possible. The report from last week assesses this, and its opening gambit is revelatory: ‘investors are driving a revival of structured credit products that were a hallmark of the boom years before the financial crisis’. However, this report in the Financial Times on the 27th November is certainly not the first warning about the direction that most SIs are heading in, with reports from much earlier in the year confirming exactly the same worrying trend. The story, essentially, is an entirely familiar and predictable one, with SIs being seduced into re-termed structured finance products – the new ‘hot’ product is the ‘bespoke tranche’, which is simply a collection of credit default swaps (CDS) tied to the risk of corporate defaults – so nothing new here to report. So, the products are the same, and also the reasoning for why SIs are being seduced into these shaky fields are the same too; understanding the environment surrounding an SI is crucial to predicting their actions. Today, the situation is that so-called ‘junk bonds’ are providing particularly low-yields, and that corporate bonds are not providing the high yields that large investors apparently ‘need’, although this is another issue entirely. Whether it is investing in ‘bespoke tranches’, plain old Collateralised Debt Obligations, or now ‘Collateralised Loan Obligations’ – the collection of leveraged loans – the story remains the same; ‘with junk bonds at such low yields where else can you go? It pushes investors into the securitised world’. Worryingly, the environment surrounding SIs seems to be deteriorating, not improving. One report discusses how a wave of fixed-income debt procured in the immediate aftermath of the Crisis is now maturing, with an estimated $1 trillion about to mature which leaves investors with the need to re-invest and find similar levels of yield on their investments. If that scenario comes to pass, which the research suggests it will, then investors will be sitting on an incredible amount of money, which is essentially blood in the water for the usual protagonists. It has been noted that, with respect to ‘bespoke tranches’, the large SIs have been unable to partake up unto this point because, quite simply, the leading credit rating agencies have not yet rated them – the dynamic is, irrespective of the efforts of post-Crisis regulation with respect to rating agencies, that SIs are still reliant upon the ratings of the agencies (internally, if not implicitly externally). So, as we can see… the scene is yet again set. Ultimately, there is a justified fear emerging that a perfect storm is brewing. SIs will have an incredible amount of money that they need to invest (hoarding that money will garner no returns), safer and more regulated products are producing extremely low yields, and all that is needed is for the rating agencies to sign-off on the creditworthiness of these incredibly complex products and that mound of money can be injected into this specific system. What can we deduce from all of this? Well, the first thing is that the suggestion that finance professionals be forced to read financial history is probably the most appropriate, albeit unrealistic proposal on record. Secondly, the regulations of this institution or that institution, of this process or that process, of this product or that product, is essentially closing the door once the horse has bolted; the real focus needs to be on the dynamics that are inherent within the investment process. There are reasons why the blinkered pursuit of high yields exists, but in essence the true reason is a systemic one – the modern capitalist structure determines that everyone should be involved in the process to make money as fluid as possible for high finance; the pension schemes that exist in workplaces up and down the country are a way to mobilise the public’s money, with the motive of the public then being to maximise their retirement pot – how many employees would, in reality, be happy with their pension being slightly limited in the pursuit of sustainable and responsible investing practices? It is not the fault of these savers, really, because their savings from their employment have a tangible and real property attached to them, whilst for SIs they are just numbers on a screen. Yet, it may be the savers’ fault, because if they all withdrew their pensions at once, SIs and Governments would have to take notice and respond. The conclusion is, however, that it is simply safe to continue as is, lurching from crisis to crisis, acknowledging but never truly learning from the past – what is needed is a radical action to be taken for someone influential, as a group, to fully commit to the ideal of sustainable and responsible investing; whether that happens anytime soon, in an era where individualism and uncertainty reign supreme, is doubtful.